FX101: Why Do Currency Exchange Rates Change? Understanding how currency exchange rates work is important for businesses, investors, currency traders and, of course, vacationers. But what causes currency exchange rates to fluctuate up and down? 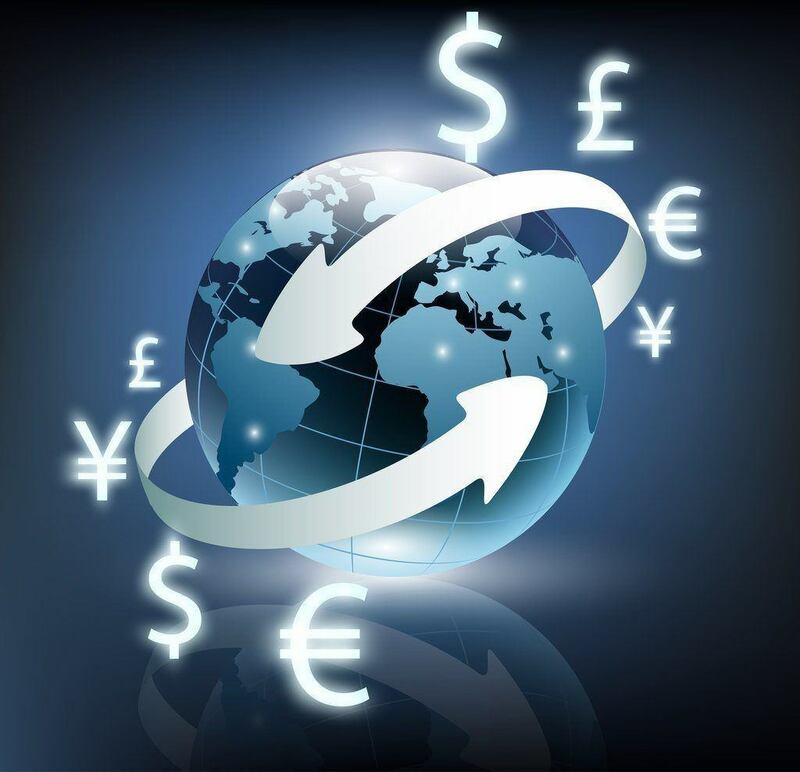 FX101 breaks down the world of currency exchange, from the fundamental to the complex. Currency can be bought and sold just like stocks, bonds, or other investments. And just like these other investments – and almost anything else you can buy or sell – supply and demand influences price. Supply and demand is one of the most basic economic principles, but nevertheless can serve as a good starting point to understand why currency exchange rates fluctuate. Currency is issued by governments. In order for a currency to retain its value (or even exist at all) the government which backs it has to be strong. Countries with uncertain futures (due to revolutions, war or other factors) usually have much weaker currencies. Currency traders don’t want to risk losing their investment and so will invest elsewhere. With little demand for the currency the price drops. Economic uncertainty is as big of a factor as political instability. A currency backed by a stable government isn’t likely to be strong if the economy is in the toilet. Worse, a lagging economy may have a difficult time attracting investors, and without investment the economy will suffer even more. Currency traders know this so they will avoid buying a currency backed by a weak economy. Again, this causes demand and value to drop. A strong economy usually leads to a strong currency, while a floundering economy will result in a fall in value. This is why GDP, employment levels and other economic indicators are monitored so closely by currency traders. Low inflation increases the value of a currency, whereas high inflation usually makes the value of a currency drop. If a candybar costs $2 today, but there is 2% inflation then that same candy bar will cost $2.02 in a year – that’s inflation. Some inflation is good, it means that the economy is growing but, high inflation is usually the result of an increase in the supply of currency without an equal growth in the real value of a country’s assets. Think of it like this, if there is more of something then it’s usually worth less – that’s why we pay so much for rare autographs and collectors’ items. With more currency in circulation the value of that currency will drop. Inflation results from a growing economy, this is why China, India and other emerging economies typically have high growth and high inflation – and their currencies are worth less. 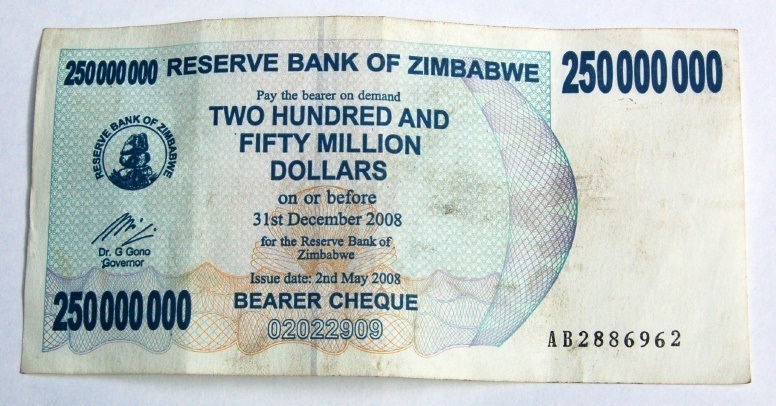 Zimbabwe experienced hyperinflation throughout the late 1990’s and 2000’s reaching as high as 79.6 billion percent in 2008, rendering the currency near worthless. But wait, right now many European countries have low, or even negative inflation so how is it that the euro is dropping? Well, inflation is just one of many factors which impact currency exchange rates. When the Bank of Canada (or any other central bank) raises interest rates it’s essentially offering lenders (like banks) a higher return on investment. High interest rates are attractive to currency investors, because they can earn interest on the currency that they have bought. So when a central bank raises interest rates investors flock to buy their currency which raises the value of that currency and, in turn, boosts the economy. But remember, no one single factor influences currency exchange. Often times a country will offer a very high interest rate but the value of that currency will still fall. This is because despite the incentive of profiting from a high interest rate, traders may be wary of the economic and political risks, or other factors – and thus refrain from investing. A country’s balance of trade (meaning how much a country imports vs how much that country exports) is an important factor behind exchange rates. Simply put, balance of trade is the value of imports minus the value of exports. If a country has a trade deficit, the value of their imports is greater than the value of their exports. A trade surplus occurs when the value of exports exceeds the value of imports. When a country has a trade deficit it needs to acquire more foreign currency than it receives through trade. For example, if Canada had a trade deficit of $100 to the US it would have to acquire $100 in American currency to pay for the extra goods. What’s more, a country with a trade deficit will also be over-supplying other countries with their own currency. The US now has an extra $100 CND that it doesn’t need. Basic supply and demand dictates that a trade deficit will lead to lower exchange rates and a trade surplus will lead to a stronger exchange rate. If Canada had a $100 trade deficit to the US then Canadian demand for USD would be high, but the US would also have an extra $100 Canadian so their demand for CAD would be low – due to excess supply. Debt, specifically public debt (that is the debt incurred by governments) can also greatly affect interest rates. This is because a large amount of debt often leads to inflation. The reason for this is simple – when governments incur too much debt they have a special luxury that you or I don’t have – they can simply print more money. If the US owed Canada $100 the American government could simply run over to the mint, fire up the presses and print out a crisp new $100 bill. So what’s the problem? Well, $100 isn’t a lot of money to a government nor is $1 million, $1 billion is pushing it but Canada’s public debt is over $1 trillion while America’s is well over $15 trillion (and grows by $2.34 billion per day). If a country tried to pay its bills by printing money then it would experience massive inflation and ultimately devalue its currency. Investors will also worry that a country could simply default on its obligations – or to put it another way – be unable or unwilling to pay the bills. This is the precarious situation Greece and the eurozone find themselves in currently. Quantitative easing – usually shortened to QE – is a mouthful, but it really isn’t all that complicated. The simplest explanation is that central banks will try to stoke the economy by providing banks with greater liquidity (meaning cash) in the hopes that they will then lend or invest that money and in doing so boost the economy. In order to provide this greater liquidity central banks will buy assets from those banks (usually government bonds). But where do central banks find this extra cash? The short answer is: they create it. Creating more currency (increasing supply) will devalue it, but it will also lead to economic growth – or so the theory goes. What’s the point of quantitative easing? Central banks will only use QE in times of low growth when they have already exhausted their other options (like lowering interest rates). After the 2008 financial crisis, the US, UK and other countries implemented QE, and the European Central Bank just recently announced that it too will use QE to try to restart the Eurozone economy. Unemployment levels in a country affect almost every facet of its economic performance, including exchange rates. Unemployed people have less money to spend, and in times of real economic hardship high levels of unemployment will encourage employed people to start saving, just in case they wind up unemployed too. Unemployment is a major indicator of an economy’s health. In order to boost employment a country must boost the economy as a whole. To do this central banks will lower exchange rates and even resort to more extreme measures like quantitative easing, both of which can negatively impact the value of a currency. This is why currency traders pay such close attention to employment statistics. Most countries aim for about 2-3% growth per year. High levels of economic growth lead to inflation, which can push the value of currency down. In order to avoid devaluing their currency central banks will raise interest rates, which will push the value of a currency up. Growth forecasts are important indicators but have to be carefully weighed against other factors. If this article has demonstrated anything, it’s that no single factor determines exchange rates. Supply and demand, political stability, economic strength, inflation, interest rates, trade balance, debt, QE, unemployment and growth forecasts all interact (and sometimes contradict) each other. FX is complex and it is never advisable to make serious investment decisions without the aid of a licensed professional. 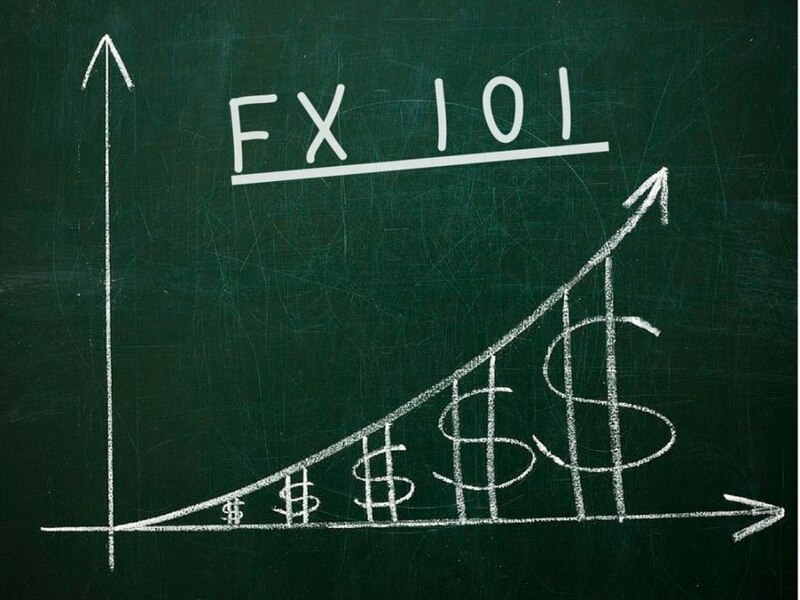 Get all our FX101 posts HERE and soon you’ll be an ‘FXpert’! 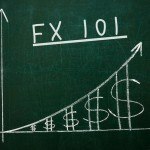 FX101: What does FX mean?